When we think about cottage, we tend to visualize cottages in many locations such as near beaches or even near mountains or lake that never fail to offer us with welcoming getaway from the busy hustle and bustle of city life. No matter what the purpose of having cottage a home is, the interior of your cottage should be able to reflect the personality and touch of the owner. There is always variety of alternatives or decorating styles that you can choose whenever you decide to decorate your cottage interior. Some of the most common cottage style used includes the Seashore Cottage style, the Lake Cabin Cottage style, the Victorian Cottage style, and also the English Cottage style. Besides that, there are also other cottage style décor such as the Art Deco or Arts and Crafts style normally found in bungalow cottages, Country decor as well as the Shabby Chic cottage style. First thing that you need to do is to determine the theme for your cottage interior that you want to use. You can consider decorating your cottage with country, rustic or even vintage motifs. You can have combination of different theme that you can mix and match in order to create unique décor for each room that you have or even create one theme for the entire interior of your cottage home. The next step is for you to select the colors for your cottage. The colors that you choose should be able to connect with the theme that you have chosen earlier. You can always refer the type of colors that you want to use from sample cards available at your local paint store. Apart from that, you can also use your current furniture and decorate them with appropriate accents that match the colors that you are using. Try to select numerous colors and play around with varying shades of similar color that you choose. Colors that relates to cottage or country character include red, white, blue, sunny yellows and spring greens. It is also common for you to find the usage of pastel colors in cottage house such as pinks, soft reds, lilac, soft blue, mellow yellows and greens. For those of you who want to look for suitable furniture for your cottage, you can simply look for it from yard sales organized by your neighbors or friends, flea markets, plus also from second-hand stores where you will find unique and reasonably priced furniture. You can also add some natural elements into your cottage décor by using beach sand, seashells and pine cones. Whatever elements that you are using, make sure that you will feel comfortable when you are in the cottage. In order to create a little bit of your personal touch, you can add personal and family photos at certain areas within the cottage. For those of you who have personal artwork, you can frame them on the walls. The same goes for your photographs. 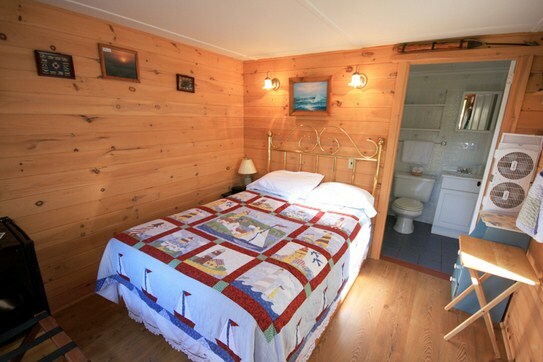 It is also recommended that you make use of pictures related to the surrounding area of your cottage. Another decorating option is to place history books and the culture of your area especially on your coffee tables and on your wall shelves. If you like to apply English cottage theme, you also need to decide on the coloration scheme and make sure that you have good amount of coloration on the surfaces of the cottage, floors and fabric. English cottage theme usually make use of shades which are related with brown, yellow-colored, rust, fruit and environmentally friendly. It is also a must to have pink and flower shades when you are talking about English décor style for a cottage. In terms of antique, you should keep it delicate and maintain its actual antique style and look cozy when you place it in your cottage. For those who have extra budget, you can simply add an antique fireplace together with ceiling supports. Always avoid using sleek, highly polished and also modern surface finishes. Relaxed kind of woods such as wicker, rustic oak, and pine wood which often has been distressed or painted. As for the furniture, it should be comfortable and having upholstered pieces that come with plain and clean lines. Cottage decorating style always uses floral prints for its upholstery. Other accessories that you can add to the décor for your cottage interior include antiques, birdhouses, baskets and fresh or silk flowers. In addition, you can place attractive wall hangings like Vintage quilts. Other items that symbolize cottage style include graniteware, stoneware, and pottery, plus also depression glassware, mismatched pottery and china. This entry was posted in Home Improvement on February 23, 2012 by Mike.